True, the small furry rodent in the picture is a squirrel, not a guinea pig, but surely that further justifies the post title, which says I’m looking for guinea pigs. 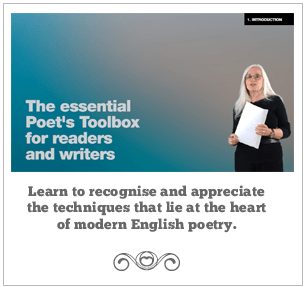 The Essential Poet’s Toolbox for Readers and Writers takes a non-technical look at modern poetry, grouping the tools into five main areas: metre, form, rhyme, layout, and sound. It’s gone on sale at £35 (for 2.5 hours of video lessons) but I’m giving away discount coupons. If you get a group of writers together, it’s pretty much impossible to come up with a definition of poetry that they will all agree on. One of my personal favourites describes poetry as “the genre where the writer has more control over the presentation on the page than the layout artist does”, but I’ll admit it isn’t tremendously helpful. The most complex and ‘adult’ word-game of all: the poem. The idea of critique and criticism** has cropped up on a number of occasions recently, including at the poetry group I attend. There, it seems clear that some of the less experienced writers feel they shouldn’t be commenting on, let alone criticising, the writing of the more experienced group members. I think they are wrong for two quite different reasons. 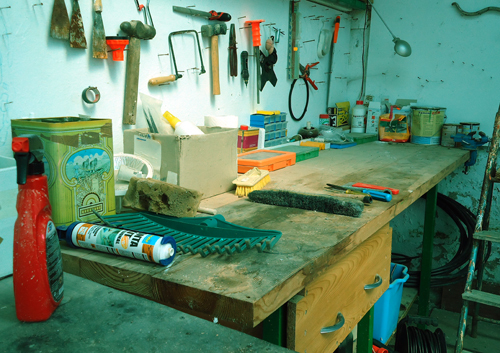 I’ve been thinking about workshops recently. No, not the sort that illustrates this post, but writing workshops for the commentary, critique and creation of original texts. The abstracts have been published for the sessions at the It Gives Us the Other poetry and translation conference & workday to be held in Nottingham in April. I was at a writing workshop this weekend and one exercise involved writing about our childhood homes. When the first few pieces were read out they involved anecdotes of family arguments and illness etc. Some of the people involved grew up during the War, so it’s not surprising that there were some bad memories, but the tutor commented that her experience shows the vast majority of people will write something negative. I suppose this ties in with the fact that first memories are often of some traumatic experience.